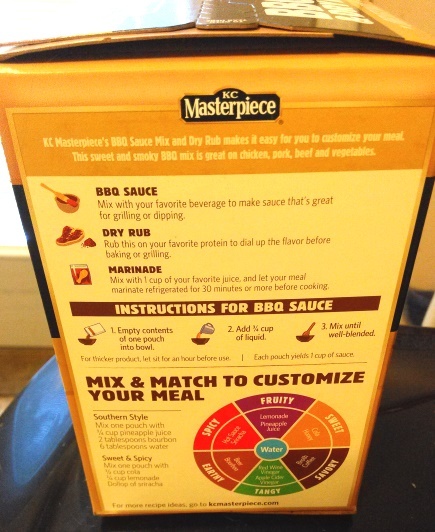 We are big fans of many kinds of barbecue, and our favorite brand continues to be KC Masterpiece BBQ sauce. We also enjoy dry rubs, so you can’t even imagine how excited I was to learn that there is now a KC Masterpiece® BBQ Sauce Mix & Dry Rub. 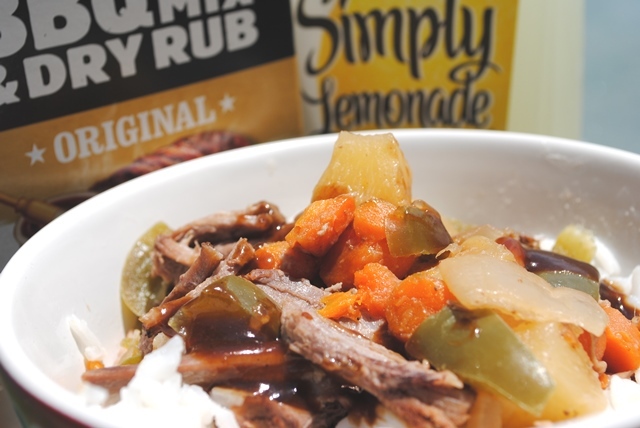 We decided to try the Original flavor rub (it also comes in Honey BBQ and Habanero BBQ) to make our own version of a Korean BBQ in the slow cooker using our favorite cut of beef, tri-tip. The tri-tip is a cut of beef from the bottom sirloin subprimal cut. It is a small triangular muscle. By the way, you can find the produce, meat, most of the spices, KC Masterpiece dry rub and Simply Lemonade® at Sam’s Club. Such a great place to get larger quantities of stuff for entertaining or simply making lots of great food for two! 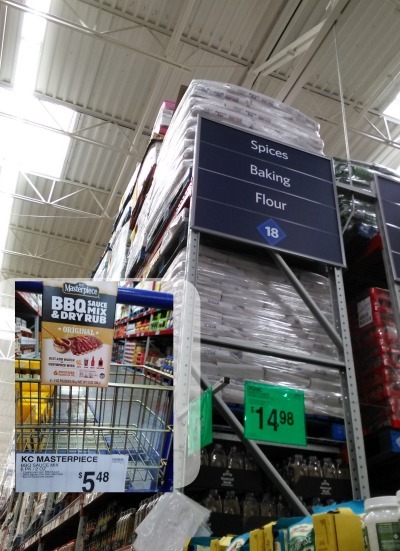 KC Masterpiece® BBQ Sauce Mix & Dry Rub is available at a growing number of Sam’s Club locations. I found the last box at my club on an end display, but I think usually it’s in the spices aisle with the other dry rubs. 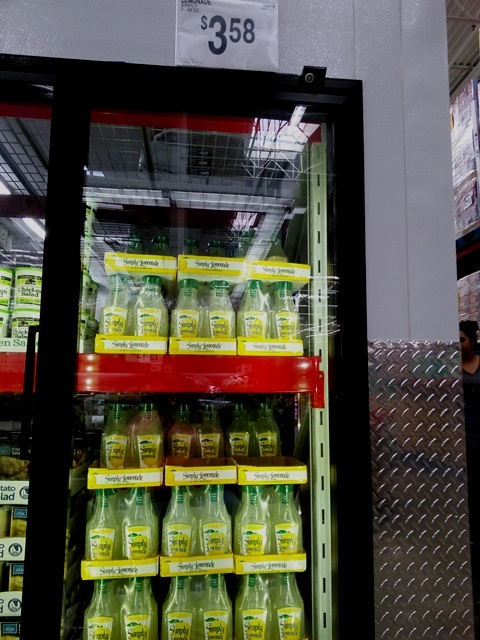 Look for the Simply Lemonade in the cooler section, not with the other Coca-Cola products. At least that’s how it is in my club! Our food nerdiness is very happy with this product! All you have to do is change the liquid and you have a completely different flavor profile. It’s a good thing this comes in larger packages at Sam’s Club because seriously, we already have plans for what we’re making next. Korean has both spice and fruity sweetness, so we paired ours with pineapple juice and Simply Lemonade® for the liquid as well as other spices to create the Asian flavoring. 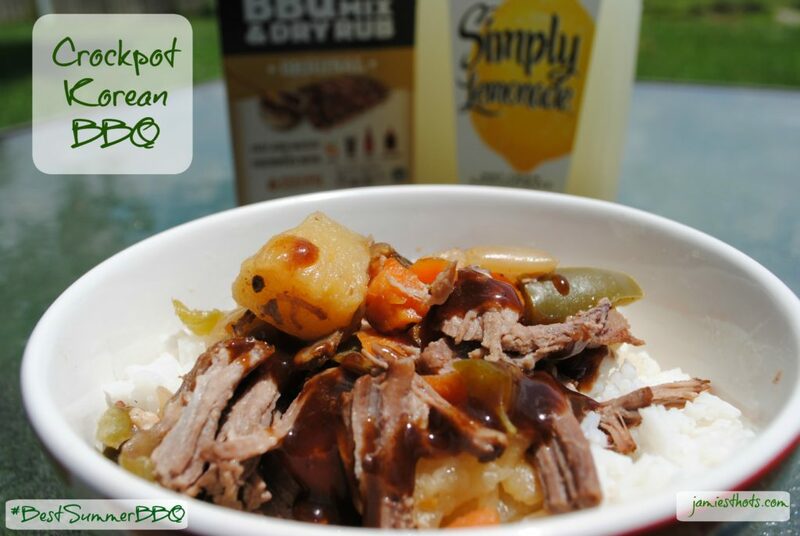 The Simply Lemonade is so much easier than trying to make your own lemonade and it doesn’t have the added preservatives colors or artificial flavors that tend to aggravate my food sensitivities. My husband and I work as a team (confession: when it comes to tri-tip he’s pretty much the master) and we came up with some of the best Korean BBQ I’ve ever had. This is a great dish for any time of year, but the fresh vegetables and fruity undertones lend themselves more to a summer dish. 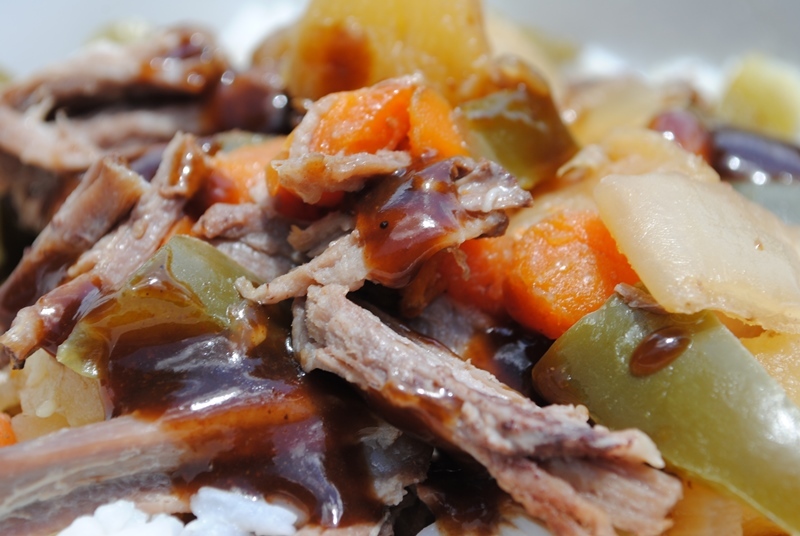 You use a slow cooker for this, so there’s no standing over the fire or hot stove! Your dinner can be cooking while you visit the pool or some other fun summer activity. That’s enough chatter! I’ll confess that this recipe has lots of steps. Don’t let the length of the recipe scare you as it’s really pretty easy. Like I said, just lots of steps! Make sure the tri-tip is fully thawed and trim off most the fat on the one side. 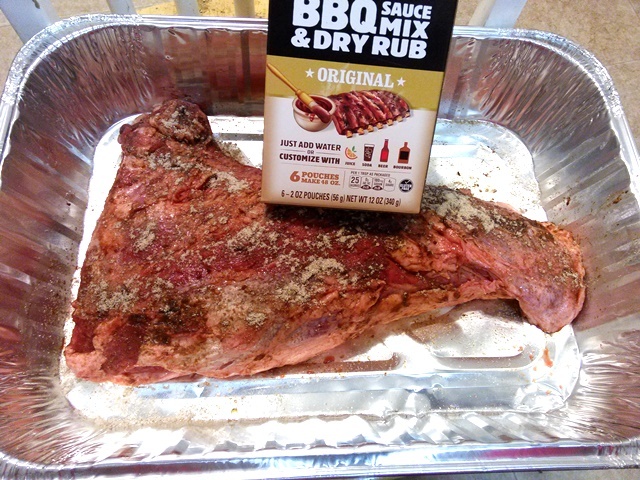 Sprinkle about 1 ounce of the dry rub mix over both sides of the tri-tip. Do not rub it all in as the moisture from the meat will start to create a messy sauce. I love how brightly colored fresh vegetables are! 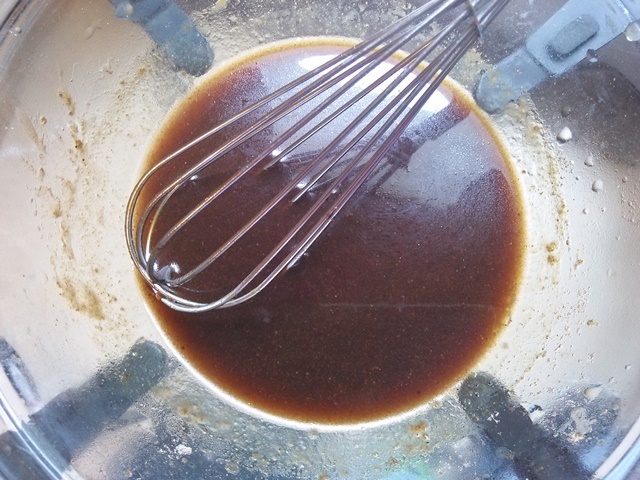 In a separate bowl, mix the 3 TBSP of dry rub mix, sriracha sauce, ¼ cup pineapple juice, ginger, honey, 2 ½ tsp soy sauce, 1 ½ tsp sesame oil, and ½ cup lemonade. Drizzle this sauce over the top of the veggies and meat. Cook the required amount of time (High 4-6 hours or Low 8-10 hours), adding the other half of the vegetable mix and the pineapple chunks with 30 minutes left in the cooking time. 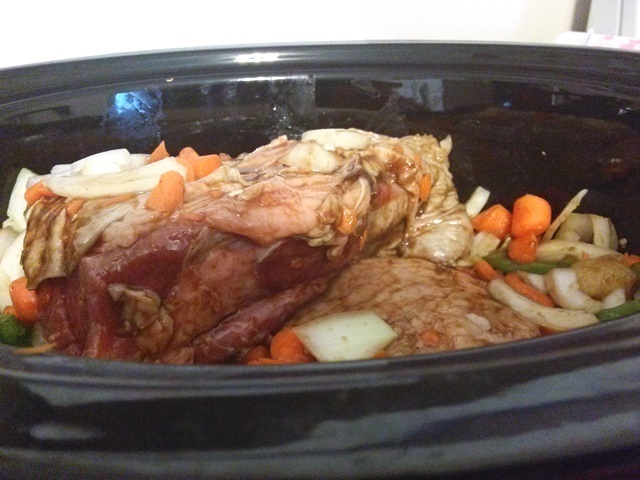 Cook until the meat is tender and cooked through (about 130 degrees in the slow cooker). Ours took about five hours and was four pounds. Remove the roast and place on a dish. Scoop the vegetables out with a slotted spoon and place in a separate bowl. Drain the left over liquid into a freezer or fridge-safe bowl and let it cool until the fat solidifies and you can scrape it off the top. Keep this for later if you want to use it as an alternative sauce (see directions below), or you can discard it. You can either mix the shredded roast with the veggies, or leave them separate to allow individuals to determine their preferred veggie-to-meat ratio. Drizzle Korean BBQ sauce (over the veggies, meat and rice. Best if mixed together. 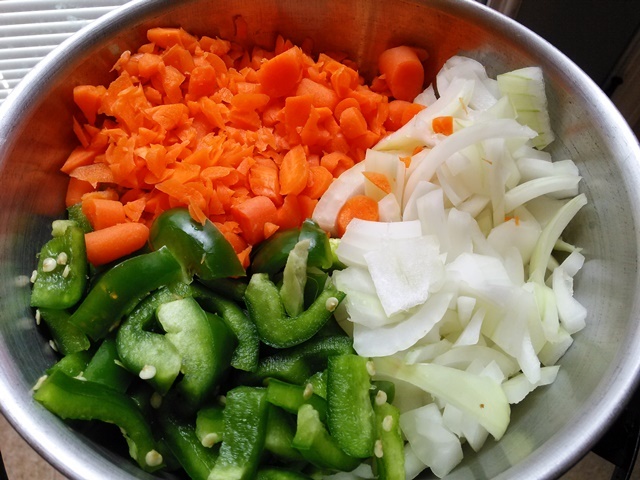 Place the veggie mix under and around the tri-tip in the slow cooker. Place the tri-tip fat side up. Once you’ve separate the fat from the cooled liquid, place in a pot on the stove on medium heat. Bring it to a low boil and turn it to simmer and stir occasionally. Simmer for a couple minutes and mix into the rice and veggie/meat. What are you waiting for? Get to Sam’s Club now and make this delicious recipe with KC Masterpiece® BBQ Sauce Mix & Dry Rub and Simply Lemonade®! What other ideas do you have for these products and great summer time? Follow the hashtag #BestSummerBBQ for more great recipes. This amazing recipe is delicious! Great for the whole family. Each person can decide how much sauce they want. I love Korean Style Beef so I bet this was absolutely delicious!